This is my first unique concept of build, never thought to be possible. A synthesis of best techniques of the Soldier and Arcanist, capable to obliterate hordes of abominations. Very tanky caster with many defensive techniques to survive and Devastation + Apocalypse to deal damage. Meet Incariol, the Wandering. [1.0.6.1] Gladiator farmer. 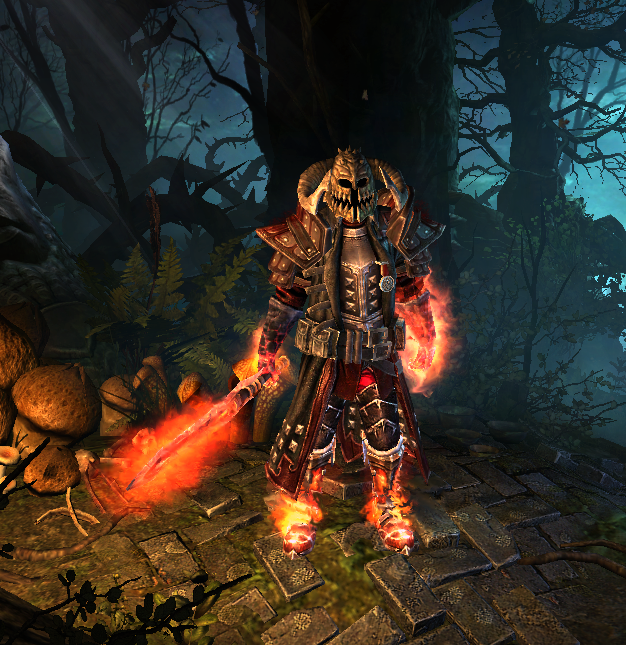 Spellbinder version of this build is much more effective and clears Gladiator 150-170 in 9-10 minutes. Dying God + Giant + Spear of the Heavens are better damage-wise than Manticore + Chariot. Also changed the book for phys resist. And relic for additional RR and life-leech RR. And now this build don't use AAR, took CT nuke instead for burst ADCtH. Greens are taken to get more fat and ensure more comfortable play, thus can be replaced with what you like. Nobody can stop you to chain MoE and live on that. Devastation acquires heavy gear bonuses this way, which make it even more powerful. -1 meter target area to Devastation makes it more focused and capable to bombard one target more effectively, which greatly helps with sturdy enemies. Large amount of DA isn't required for build to work, but is recommended for more lazy gameplay. AAR is taken to handle single targets if Devastation can't do it, or to support Devastation+Apocalypse barrage to wipe enemies quickly. Especially useful with large non-mobile targets (looking at you, Moosi), but also is useful for Maiden, Archmage Aleksander and Grava. Gameplay: when you see lots of trash on the screen, just push Devo+Apocalypse and take your circles around, everything die in process. When bosses remain, cast 2 CDR Devastations, Apocalypse, support them with AAR and wipe any enemy out. Kite and MoE when you're in danger. Do not underestimate the power of Apocalypse. Its meteor can deal up to 250k crit damage, as you can see below. 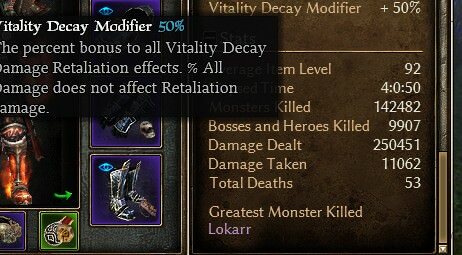 Its mixed damage helps us too, especially on Aether resistant enemies, since we have Physical damage % from Krieg. 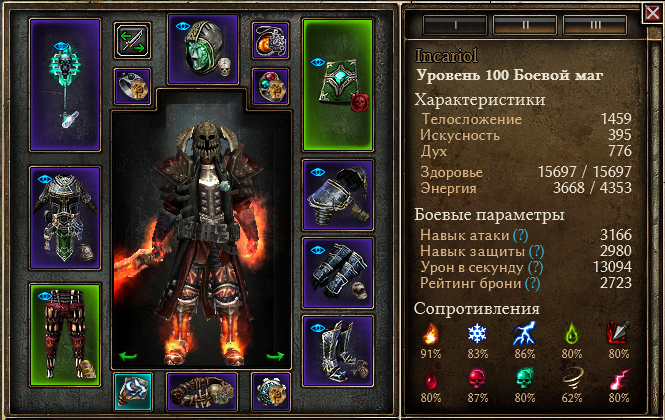 Addendum: this character is roleplay, and there are more useful classes than Soldier to support Devastation. I just wanted to play this one. Last edited by veretragna; 11-27-2018 at 08:27 AM. Seems cool and super tanky, although it might need some revamping after DA fixes in new patch. All things seem to be in their place (which satisfies my min-maxing ocd a lot, lol), I would point out however, that you have same flat RR from scepter and from Acid Spray and they don't stack with each other. Might consider another devotion instead of Manticore, unless you prefer Manticore's higher and more instant RR. First version of this build didn't have Manticore. Decree's debuff procs every 2 seconds, with 30% chance on crit, which is unacceptable loss of damage. Manticore can be cast instantly. Tested this behavior during endless Crucible runs: Manticore shows better. It doesn't. Max effective DA in cruci in new patch is around 3900. Devastation + Apocalypse is not a new concept but a Battlemage using it certainly is. And it is very well executed even for a roleplay build, well done. Great build. Just curious about something. I know your three meteors can carry this build through cruci all by themselves, but how does AAR perform in this build? I thought it sucked. Zantai released some patch notes (that were still subject to change) when the DA stacking thread discussion was still a bit heated. Some people calculated the max DA you need to get pth cap and it was about 3900. AAR isn't used single, it's only support skill here to deal more damage in combo with Devo and Apocalypse. It is very useful, much more useful than overcapped CT nuke.